I am so overwhelmed by the bullying at work to where I had to go the the emergency room on Saturday morning. It got so bad that Saturday morning when I woke up to where I wish I could just go to sleep one night and never wake up again. I wish that could die of a heart attack, have a stroke, get killed in an accident, or hope somebody just shoots me in head or if I have died of cancer. I am a 49 year old single mother of three children, two of them are grown and one child age 11 remains at home with me. The same people who use to speak, smile and say hello are not speaking to me anymore. They are all personally working against me and being told I make everybody uncomfortable. I am also experience a form of work place bullying, they are not giving me a chance, I am being sabotaged, lied on, and scorned by other peers. The Manager and lead avoid me all the time when I need assistance. I am being singled out to be treated differently than other people on the team. They put me down and give me the silent treatment. Like when I have a conversation with my manager and team they come back and tell me there is a lot of complaints against me done anonymously, that I make people uncomfortable. That other people at work are complaining about my coughing and not covering my mouth, overlook my accomplishments and being unfairly evaluated on scores. You are a victim of mob bullying. I know this because you could be telling my own story. The sad fact is, I just came from my doctor's office on Tuesday and she is talking about "medical disability" as a result of all of this. My blood pressure is out of control, I vomit a couple of times a week. Their big "solution" was to put me on another floor with different people. Did they really think that would stop it? No! Now they bring it downstairs and are turning all these people against me too. My next stop is Personnel because I have 31 1/2 years on this job and I won't be pushed out the door by some stupid twit with bad self-esteem and her minions. I just won't have it. Get a book called "Mobbing. Emotional Abuse in the American Workplace". It helped somewhat and then I turned it over to the supervisors to read and figure out what's going on. Good luck to you. Hang in there. YOU DO NOT NEED TO PUNISH YOURSELF FOR THEIR BAD! Please try to remember that. If you do anything to yourself because of all of this, it will not make them feel bad. Your best fight against their abuse is to keep coming to work with a smile on your face. And keep in touch with your doctor. Don't let things get out of hand. Note from Anton: Approaching management and giving them books about mobbing/workplace bullying and going to Personnel/HR has backfired severely for many. It could mean the beginning of the end of your job there. Before you do something like that I suggest you read What Every Target of Workplace Bullying Needs to Know. Considering the stakes, is the ebook worth the price? If you paint yourself into a corner with management and it costs you your job how much will the loss of income be in just one month—how about 1 year? Will you lose your savings? Your home? What about health costs? How much is having a heart attack due to the stress going to cost you? More than the price of the ebook? Probably. All combined it could be hundreds of thousands of times the value of the ebook. I have purchased the book you mentioned, "Mobbing: Emotional Abuse in the American Workplace" (yes—purchased—(the bookstore did not give it to me for free)). I also did as you suggest. I brought it to work to show managers. Managers were not the least bit interested—and it can certainly put you in the category of "troublemaker" and "problem to be gotten rid of" by pressing the issue with management in this way. Actually, funny story, I remember having the book on my desk at work. Throughout the course of the days I had it at work about 6 or 7 people who came by my desk noticed the book with the large print of the word "Mobbing" on the cover. Hmm, "What is this?" they wondered. I noticed they would pick up the book to check it out. As soon as they found out that it was about workplace bullying… every single person—every one—put the book back down on my desk FACE DOWN. I'm sure my co-workers were just trying to protect me, hoping that managers wouldn't see this book on my desk. I printed out information from Tim Field's website and gave it to managers. I sent emails to managers with links to information about mobbing. (Even supervisors that I had (up until that point) considered to be my "friends.") BIG MISTAKE. So, making yourself feel better by reading a book about mobbing is one thing—bringing it to work to show management is entirely another. If you are so lucky as to have management that responds to this approach, understands the error of their ways and transforms their behaviour and addresses workplace bullying—great—but, generally speaking, that is not the reaction targets get. If you have found a doctor that even recognizes the dynamics of workplace mobbing and the damage it can cause you are much further ahead than most. Many doctors are not familiar with mobbing and have not experienced it for themselves. They may be decent, honourable people who believe that if you just explain mobbing and how bad it is to managers that they will be enlightened and transformed as human beings. I don't want people to simply follow this advise, go to managers and HR (Mobbing book in tow) and set themselves up for the onslaught that often follows. If people want to try this (I'm not saying it can't work) that's fine. I just want them to be able to weigh the pros and cons of proceeding in this manner. Anton your advice was 'right on' with regards the person who gave a book on mobbing and bullying in the workplace to a supervisor. We should NEVER go to management with our difficulties; as though 'the authority' will fix it for us. It is the equivalent of saying that we are unable to handle life. I think the reason I and others do go to authority is because, we came from a time when authority did want to ensure a comfortable workplace. We came to understand that authority was good and impartial. If it's any consolation; with target gone; while a firm can't call something right or wrong, they do know 'the score' / the bully will be called upon to up performance; if they can't comply, that is the only way to get rid of them. I believe many bullies are released also. Not that target gets to know that. Company got rid of two people and then they start hiring again. Zero Sum Competition; would you explain that Mr. Hout? I think it will explain why management doesn't care anymore. I was released after two years and some months and at 'talk' before being let go, I was told that others found me offensive. Nothing was spoken to me about this in all my 2 plus years. I asked 'who said such' and tell me when and where. No response was given. Then, this HR manager said "but you can stay if you sign this paper stating you will no longer be offensive." Is that funny? They can't tell me what the offense is but I should sign that I am and I won't be. NO WAY! Once that paper was signed, the intimidation would have gotten worse. The funnier part, I can laugh now...two months later I email and ask for a reference and was given a glowing one. (someone suggested I ask) At least I got a reference signed by this HR person, attesting to my integrity. I sure question what colleges are teaching business managers today. Anything you'd like to add Anton? 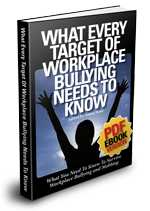 Note from Anton: I'm not sure about the idea that bullies are put upon by managers after they have gotten a target fired and wind up getting fired themselves. I believe that they simply choose the next target to blame—many become serial bullies. Others are even promoted themselves. I suppose the zero sum competition you referred to would manifest itself in those who are not happy with win/win resolutions. Some cannot enjoy a win unless there is is a loser for them to lord it over. p.s. - This phenomenon is being allowed to continue because the bullied worker has to let it go; they can't go public with it on tv or newspaper, they will NEVER get a job. Go work part time, or get two part time jobs. You test them by how they act. With two jobs, one isn't as vulnerable and thus will relax more to any 'dumb stuff' that goes on. There is no solution. Just move on. A book helps. Reading about the experiences of others helps. Exercise helps. My dogs are a godsend. Even good drugs and a stiff drink help for awhile. But there is no real solution. There will be bullies, there will be the bullied, and there will be those who just go along. This is our nature. In every culture, throughout recorded human history. (It can also be observed in other species.) The bullied simply have to make a decision -- take it, find another job, and/or get revenge. There will almost *never* be a grown-up resolution. And it is very rare that someone in the organization will go to bat for someone else who is being bullied. Don't ever assume that, because you would, someone will do that same for you. You are on your own, kiddo! In my case, I tried everything. I changed my approach in the workplace. I stepped up my game -- I was the hardest working guy there, coming in earlier and leaving later most of the time. I made mistakes like the next guy, but I owned up to and resolved them immediately, and I was consciously patient with the mistakes of others. I treated people with respect. I was consciously equitable and generous in working with others. I spoke to the bully directly and tried to gradually win him over. I spoke to my managers, who were powerless, or were unwilling to take the risk of confronting their management. I documented everything and reported the final straw -- when he physically menaced me twice in one week. I was unceremoniously removed from the project and benched -- a "cooling off" period they called it. Now I must reapply to another project as any other person would apply for a job - "That's business," the CEO said to me. And he's right. That *is* the bottom line. I was taken out of the equation to preserve decorum (read: revenue stream). People in my company now look at me as if I did something wrong, as a failure. Nobody from the project will speak to me. HR is keeping me at arms' length. When I asked if they had resources for people who were bullied, they replied by saying, "What do you mean?" They will only respond to my emails with a telephone call. (They won't put *anything* in writing.) I was (am) completely on my own. No time off was given. No clear guidance on what to do next. Just, "Sit down over there and cool off. And reapply somewhere else." So there it is. I've considered my options. Certainly, creative revenge strategies were at the top of the list, and I've not counted them out completely. I decided that for now, I had to move on. Life is not fair. I can elect to be fair to those around me, but most people are mean and/or cowards and completely unwilling to do the right thing if it means they perceive risk to themselves. We accept this self-centeredness almost as a virtue in society -- when we see this happening with others, we expect people to "take care of themselves." This is reality. This is the truth! Bullying/mobbing is highly manipulated situation. Bullying/mobbing is highly manipulated situation. Just find the correct person(male/female) who initiated this intentionally and just think to hurt him/her seriously in any manner, just as revenge. This is the only solution. The reality is something like some one is against/jealous/in-competition with you and he/she only wants you to be get bulled. Since he /she may be very closer/in-favor with his boss/manager/authorities, thats why only he/she can enforced the bulling/mobbing against you. Others, your colleagues, are under his/her pressure or they may also have their selfishness. Thats why they all are also supporting that person. So no one will cooperate you in any manner and there is no use of complain also. So you just need to understand the situation and handle so smoothly and politely and wait for right moment to get revenge from him only. Forget others. And since you are alone now to fight the situation, so it will very difficult for to hurt that person or get revenge. 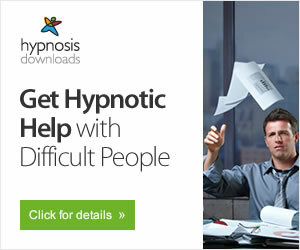 There you need some healthy and effective suggestions/helps from your relatives or may be from here on net. Now I request people over here, instead of saying just ignore the situation, see other job, keep calm, be strong... bla bla bla... suggest and give some healthy and effective ideas so that the person under mobbing/bullying can hurt/get revenge. And it will be projected such that no one should do this with any one anywhere in future. If ny one like to make the group to help such people that will also be great IDEA, may be consulting ,etc.